The burly Mr. Whitaker, 49, whose Twitter profile shows him lifting heavy weights, played football for the University of Iowa Hawkeyes. He started in the 1991 Rose Bowl, where he caught a touchdown pass on a faked field goal. He graduated in 1992 and had once considered moving to Hollywood to make his fortune. During Mr. Whitaker’s tenure, the group called for investigations into, among others, Senator Evan Bayh of Indiana and Senator Christopher S. Murphy of Connecticut, both Democrats, as well as Representative Ted Strickland, Democrat of Ohio. 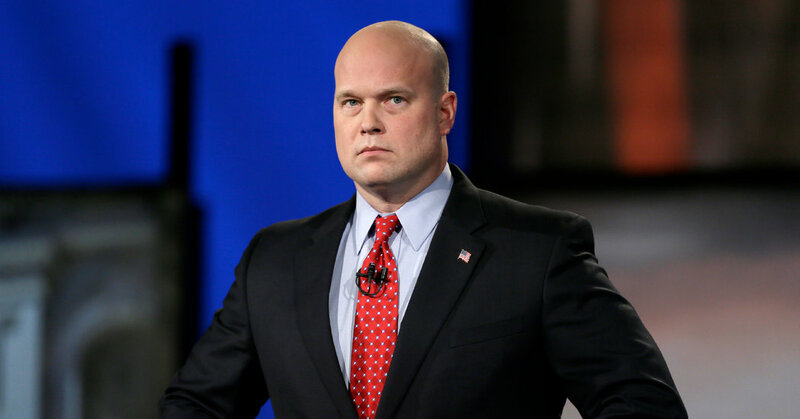 It is likely that Mr. Whitaker will be in the position until at least early next year because the Senate legislative calender would make it nearly impossible to confirm a new attorney general before the current term ends in December.